Defendants argued that plaintiffs’ claims should be dismissed because they are factually devoid and simply “parrot the statutory language and proffer purely conclusory allegations”, thereby running afoul of the standards set out in Bell Atlantic Corp. v. Twombly, 127 S.Ct. 1955, 1964-65 (2007) and Ashcroft v. Iqbal, 556 U.S. ___, 129 S.Ct. 1937 (2009). “Rule 8 does not empower [plaintiffs] to plead the bare elements of [a] cause of action, affix the label ‘general allegation,’ and expect [a] complaint to survive a motion to dismiss.” Iqbal, 129 S.Ct. at 1954 (2009). Defendants cited several cases to support their contention that courts have granted motions to dismiss in wage and hour actions in reliance on Iqbal and Twombly. See, e.g., Harding v. Time Warner, Inc., 2009 U.S. Dist. LEXIS 72841 at *9 (S.D. Cal. 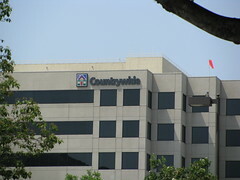 August 18, 2009); Deleon v. Time Warner Cable, LLC, 2009 U.S. Dist. LEXIS 74345 at *6-7 (C.D. Cal. July 17, 2009); Anderson v. Blockbuster, Inc., 2010 U.S. Dist. LEXIS 53854 at *5-8 (E.D. Cal. May 4, 2010). Defendants also argued that plaintiffs’ fourth and fifth claims for relief should be dismissed because the factual basis of these claims is a failure to be compensated for time spent on “booting up” and “shutting down” activities. Id. *3. Defendants argued that the FAC makes no suggestion that the time spent on these seemingly de minimis activities was compensable or that it took the Plaintiffs or putative class members more than a few minutes per day. Id. The court disagreed, finding that all of plaintiffs’ claims met the requirements of Rule 8, providing defendants with fair notice of facially plausible claims. Id. The court found that plaintiffs allegations that they were required to perform certain tasks before clocking in and after clocking out, were sufficient to state claims for violations of state and federal wage and hour laws that would allegedly require the class members to be compensated for the time spent performing those tasks at overtime rates. Id. The court found that defendants were provided with sufficient notice of plausible claims against them by plaintiffs’ allegations that defendants have failed to properly calculate the overtime rate, and to provide wages “in the form of checks that fail to provide either a detachable stub or separate document containing the total hours worked by the employee.” Id. Defendants argued that plaintiffs’ UCL claim cannot stand because it is based in part on violations of the FLSA , and the remedial and enforcement provisions of the FLSA are exclusive. Id. *3. The court disagreed: “a violation of the FLSA appears to be a proper predicate for a claim under the UCL.” Id. (citing Esparza v. Two Jinn, Inc., 2009 WL 2912657 at *2 (C.D. Cal. Sept. 9, 2009). The Court finds that plaintiffs’ prayer for attorneys’ fees pursuant to Cal. Code Civ. Proc. § 1021.5 should be stricken. See Flannery v. Ca. Highway Patrol, 61 Cal.App. 4th 629, 635 (Cal.Ct.App.1998) (“Because the public always has a significant interest in seeing that laws are enforced, it always derives some benefit when illegal private or public conduct is rectified. Nevertheless, the Legislature did not intend to authorize an award of fees under section 1021.5 in every lawsuit enforcing a constitutional or statutory right.”); Kistler v. Redwoods Community College Dist., 15 Cal.App. 4th 1326, (Cal.Ct.App.1993) (finding fees pursuant to s 1021.5 unavailable in a wage and hour case where plaintiffs “were not disinterested citizens seeking to establish new law on a question of public importance, they were simply seeking the wages due to them”). The Court therefore GRANTS defendants’ motion to strike plaintiffs’ prayer for attorneys’ fees in paragraph 78 of the FAC. Paul Cullen, Shaun Setareh, for Plaintiffs.